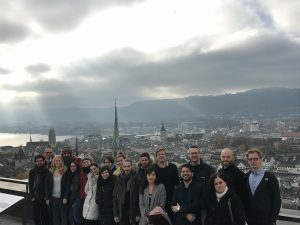 Researchers and PIs recently met at ETH Zürich to consider the synergies between basic research and application. 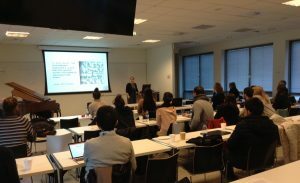 Presentations included one from Professor Bart Clarysse (who holds the Chair in Entrepreneurship at ETH Zürich) and also an introduction from KCAP DCOMM Partner Ute Schneider. 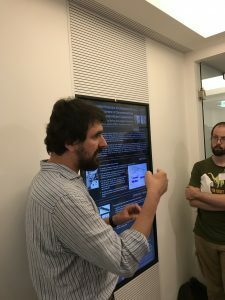 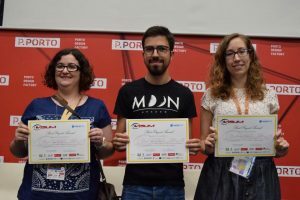 ESR Samuel Navas Medrano (PI Professor Christian Kray), hosted by the University of Münster, recently presented his paper at the 19th International Conference on Human-Computer Interaction with Mobile Devices and Services. 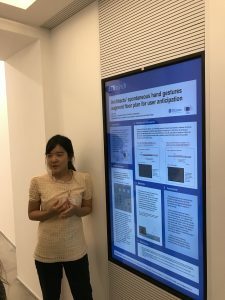 A training event for the Early Stage Researchers recently took place in Aarhus, Denmark. 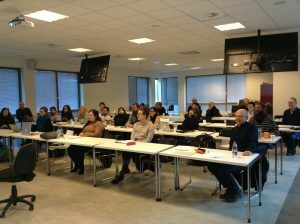 The training course explored theoretical aspects of deictic communication and included a practical exercise and presentations from invited keynote speakers: Professor Marianne Gullberg and Professor Ulf Liszkowski. 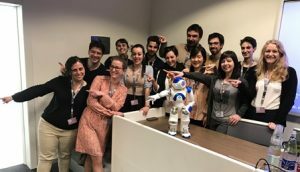 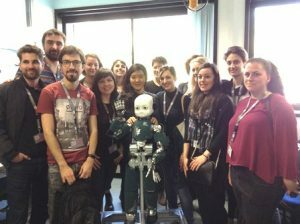 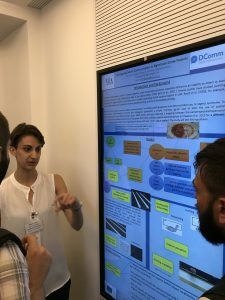 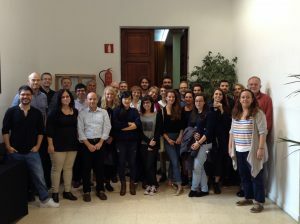 The first training event recently took place in Palma, Mallorca bringing together the DCOMM PIs and 13 newly appointed Early Stage Researchers. 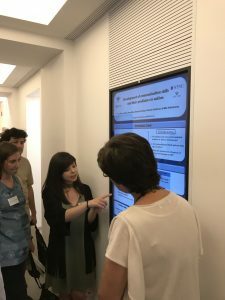 The training event explored a range of methodological approaches to deictic communication.